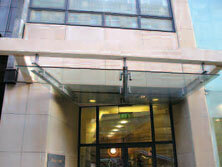 What does BFM Glazing Ltd provide? 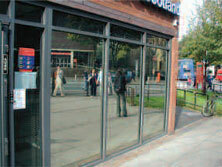 Specialist window films can provide effective solutions to many problems. Manifestation window film offers a quick, and cost effective solution to the problem of panels that are not visually apparent. We can also improve a working environment by adding privacy to a normally open area, with film that displays corporate branding. 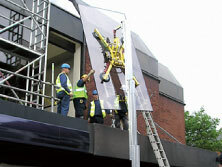 Solar control film dramatically reduces the sun's heat, even in the hottest weather. As part of our comprehensive range of window films, we can provide safety films, which provide a cost effective solution to bring glass up to the required safety standards. Through our experience, resources and innovative approach to planned and reactive glazing services, we have developed a wide and diverse portfolio of glass products. Should you require something special on your next project, we can work with you to produce bespoke solutions that won't compromise your design. We offer 'Real-Time Reporting' on every job, which offers details of each step of our work, along with photographic evidence provided for complete peace of mind. We offer all our clients a 'Real Time Reporting' service, which enables us to inform and update clients on our progress from arrival on site to completion. We also provide, as standard, digital photography records of before and after the work is completed. In this way, we can carefully detail each step of our work. By treating each and every client as an individual and, by understanding their individual needs, the quality and dedication of our customer service and our 'Real Time Reporting' ensures we meet the needs of our clients on each and every project. We can offer very competitive rates within the market, and as an independent company, we are not tied in to a sole supplier. As a result, we can offer the best products at the most competitive prices, ensuring complete peace of mind. To find out more about how we can assist you, please don't hesitate in contacting us for more information. Call our office on 01706 654204 or email us at info@bfmglazing.co.uk.